Islamabad, Oct 18 – ISLAMABADII The only son of Pakistan‘s assassinated Prime Minister Benazir Bhutto told hundreds of thousands of supporters on Saturday that he would fight for his party’s revival, in an appearance intended to mark the official launch of his political career. “The fountainhead of our power is the people,” Bilawal Bhutto Zardari, 26, told the crowd in the port city of Karachi, Pakistan’s financial heart and home to 18 million people. 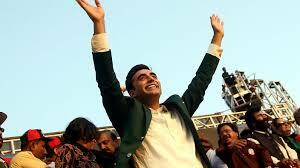 “If you want to save Pakistan, the only answer is Bhuttoism and the PPP,” he said, referring to his party’s acronym. Police said 150,000 people attended the rally. Symbolically, he stood on the roof of the same bus where his mother was assassinated exactly seven years ago in a gun and bomb attack after holding an election rally in the city of Rawalpindi in 2007. At least 180 people were killed that day. 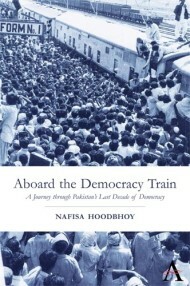 The Bhutto dynasty has had a turbulent history, reflecting Pakistan’s own rises and falls in past decades. Bilawal’s grandfather, the founder of the Pakistan People’s Party (PPP), was hanged by a former military ruler in 1979. The PPP ruled Pakistan from 2008 to 2013 until it was voted out in a landmark election that marked the first time in Pakistan’s military coup-prone history one elected civilian government replaced another. The emergence of Bilawal Bhutto as an opposition figure is a worry for Prime Minister Nawaz Sharif, whose standing has been shaken by weeks of protests led by Imran Khan, a former cricket star, and Tahir ul-Qadri, a firebrand cleric. The PPP’s five years in power, however, were marked by a series of confrontations with the powerful Supreme Court over a slew of corruption cases, and people gradually became disillusioned with its policies. Bhutto, who bears a striking resemblance to his mother, was joined at Saturday’s rally by hundreds of high-ranking officials, including his father Asif Zardari, a former president and now co-chairman of the PPP. Dozens of police, including female officers, stood guard near the stage as Bhutto and other senior leaders of the PPP delivered speeches. Political observers say the election defeat last year has reduced the PPP to a provincial party with a vote bank only in Sindh province, its powerbase – a perception Bhutto will try to reverse. Bhutto’s young age did not prevent huge crowds turning up for Saturday’s rally. He was not yet old enough to contest the 2008 elections as the minimum age is 25, but he will be old enough for the next vote in 2018. Benazir Bhutto’s killer has never been caught and a U.N. inquiry found that Pakistani authorities had failed to protect her or properly investigate her death. The United Nations also said that high-ranking Pakistani officials had tried to block its investigation. Benazir Bhutto has become a powerful symbol for the ruling party, which often refers to her as a martyr. The capital’s airport and a scheme to give cash to poor families have been named after her. The Bhuttos have often championed the rights of the poor in a country where feudal landlords own vast tracts of land and agricultural workers often live in deep poverty. Many rally participants waved portraits of Benazir Bhutto wearing her trademark white headscarf. Her husband Asif Ali Zardari, elected following her death and president of Pakistan until 2013, is less popular. Zardari was jailed on corruption charges from 1996 to 2004 that he says were politically motivated.